Russian Foreign Minister Lavrov said that the marathon talks with US State Secretary Kerry in Geneva helped to reduce mutual levels of misunderstanding. Both countries will boost their cooperation on Syria, including on the military level, he said. “We have agreed on concrete ways in which we will work with the sides: Russia – with the government and the opposition, that is working with us, the United States – with the opposition, which is cooperating with them,” Lavrov said. In addition to that, the cooperation between Russia’s Khmeimim air base and representatives of the American armed forces in the US base in Jordan is going to be ramped up. “It is an achievement that we have been able to reduce areas of misunderstanding and to reduce the level of mutual mistrust between the two countries,” Lavrov said. 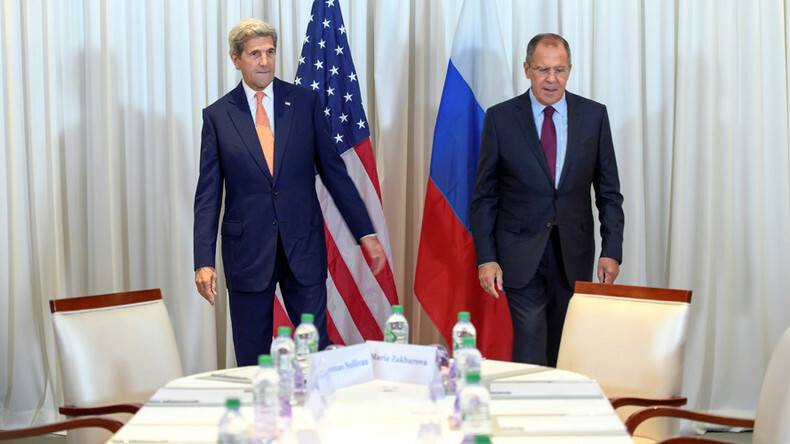 Russia and the US have agreed on a number of issues as to how boost the peace process on Syria. According to the diplomats, experts from both states will meet in Geneva in the coming days to clarify the details of what has been agreed today. The Russian foreign minister stressed that separation of “moderate forces from the Jabhat al-Nusra militants” is key to reducing the violence in Syria. Lavrov said that Russia briefed the US on a number of rebel groups that it considers terrorist. Kerry outlined the steps that can be undertaken to separate the terrorists from the armed opposition, reiterating that Al-Nusra should be treated like a terrorist group despite the recent rebranding. Drawing a line between the moderate rebels and Al-Nusra remains a “complex question” because the terrorists often share the same territory with rebels, he noted, adding that other nations in the region that support some of the groups should also engage in the process. "We believe there are actions that can be taken to deal with the current construct, some of those involve other nations that are supportive of other opposition groups. Neighbors within the region who have influence over those groups and who have an ability to help separate [Nusra and opposition]," he said. Russia and US have been thrashing out the details on how to separate the militant groups from each other for the last several weeks, he added. Both diplomats agreed that the Syrian Kurds should remain in Syria. The contacts with the Kurdish minority in Syria were made in a “close cooperation” with Turkey, Kerry said. Turkey considers the Kurdish YPG militia, which is part of the US-backed SDF rebels, one of the targets of its ongoing incursion in Syria. “We understand the sensitivities of our friends in Turkey with respect to this,” Kerry added. Weighing in on the Turkish “Euphrates Shield” operation in Syria, Lavrov reminded that all countries that had sent military forces to Syria, save for Russia and Iran, are doing so in violation of Syrian sovereignty. The Russian FM and his US counterpart, John Kerry, met in Geneva to discuss a peaceful solution to resolve the Syrian crisis. They were in talks behind closed doors for over 12 hours on Friday. The meeting of the two top diplomats’ took place at the President Wilson Hotel in Geneva. The two were joined by the UN Syria envoy Staffan de Mistura. It was not clear during the day whether the UN Syria envoy would join the negotiators to share his views on how to put an end to the five-year war. The main point of the negotiations is to involve “the prospects of arranging a close coordination of Russia’s and US efforts in fight against terrorist groups in Syria,” Russian Foreign Ministry spokesperson Maria Zakharova said earlier. Meanwhile, the UN has pushed for a weekly 48-hour truce in the fighting that would allow it to provide humanitarian relief, which has been endorsed by Russia. According to the plan, food and supplies would be delivered simultaneously by internationally monitored vehicles to rebel and government-controlled areas. Russia is already delivering humanitarian aid to the civilian population in Aleppo. On July 28, the Russian Centre for Reconciliation in Syria, in cooperation with the country’s authorities, agreed on several humanitarian corridors to supply aid to the population in the city. Several of the respective paths were also opened for civilians wishing to leave the city and at least one for the militants who wanted to lay down their arms and exit Aleppo. 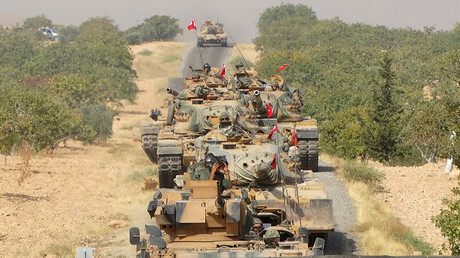 Earlier this week, Turkey launched a ground operation in Syria. The ongoing incursion supported by Syrian rebels and US airstrikes was targeting positions of Islamic State (IS, formerly ISIS/ISIL) near the town of Jarabulus.